BMW Car Insurance, Compare BMW Insurance Quotes & Save! You Could Save Up To $500! 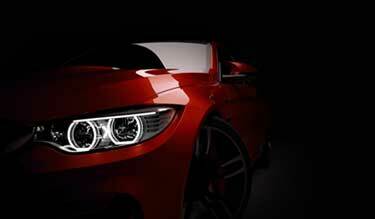 Compare BMW Auto Insurance Quotes And Save! Shopping for BMW car insurance? Are you comparing BMW vehicle options? BMW is one of the top luxury car brands. Known as “the ultimate driving machine,” for over 100 years the company has consistently produced high quality, safe, and luxurious vehicles. Thousands of Canadians drive BMWs and are consistently on the lookout for cheaper BMW auto insurance rates. When you invest in a high quality vehicle, you need to protect it with the best car insurance policy. At ThinkInsure, we can help you compare BMW car insurance quotes. Get quotes for all BMW makes and models. Simply call us toll free 1-855-550-5515 to compare quotes and save. BMW is a world renowned luxury vehicle manufacturer. The German auto manufacturer was founded in 1916 in Munich as an aircraft engine production company. The company started producing motorcycles in 1923 and automobiles in 1928. BMW, which stands for Bayerische Motoren Werke, or Bavarian Motor Works is the 12th leading producer of vehicles in the world. It is also the parent company to MINI and Rolls-Royce, extending its foothold in the luxury vehicle industry. The 3 Series is the best-selling BMW model because of its combination of safety, style, luxury, and performance. BMW offers a large selection of makes and models. You can get a Sedan, Cabriolet, Coupe, Sport Activity Vehicle, Touring, Roadster, Gran Turismo, and even Electric vehicles. The 3 Series is the top selling BMW model. It accounts for almost one-third of the company’s vehicle sales. The model was first introduced in 1975 and is now in its 7th generation of production. The BMW 328i is one of the most popular 3 Series models. The company regularly sells more 400,000 units annually and has won awards on multiple occasions. BMW doesn’t just make cars. The BMW X6 is a midsize luxury crossover. It was first released in 2008, with the second generation released in 2015. It has a 5 door coupe SUV style that has a design that is unmistakeably BMW. BMW car insurance should be approached the same as any other vehicle. It’s important to shop around and compare BMW car insurance quotes to find the right coverage and best price. In general, older BMW models tend to cost less to insure. They are typically more affordable to repair compared to newer BMWs. Newer BMW models tend to cost more to insure because of their luxury features, repair costs and because some vehicle models are a target of thieves. Are BMW’s Expensive To Insure? Any BMW car insurance review will tell you they are more expensive to insure than the average vehicle. So comparatively, they are more expensive. Compared to other luxury vehicles, insurance costs are similar. Style, features, price, and vehicle options are some of the factors that contribute to the higher insurance costs. Shopping for BMW insurance in Canada? Our insurance experts can help you compare insurance quotes online anytime. Whether you are looking to lease or buy a new BMW, your policy is up for renewal, or you need to make changes to your current policy, we can help you compare BMW insurance policy options and find the cheapest rates. Call A ThinkInsure Car Insurance Expert At 1-855-550-5515. Since BMWs cost more to purchase and they typically have higher repair costs, basic auto insurance coverage is usually not enough. Expect to increase coverage limits to ensure you are covered for a total loss and more expensive repair claims. The cost to insure a BMW will be affected by higher coverage limits, one of the many factors that make BMWs more expensive to insure. If you plan to purchase or lease a BMW, expect to pay higher than the average car insurance rates in Ontario. BMW car insurance cost varies on a case by case basis. 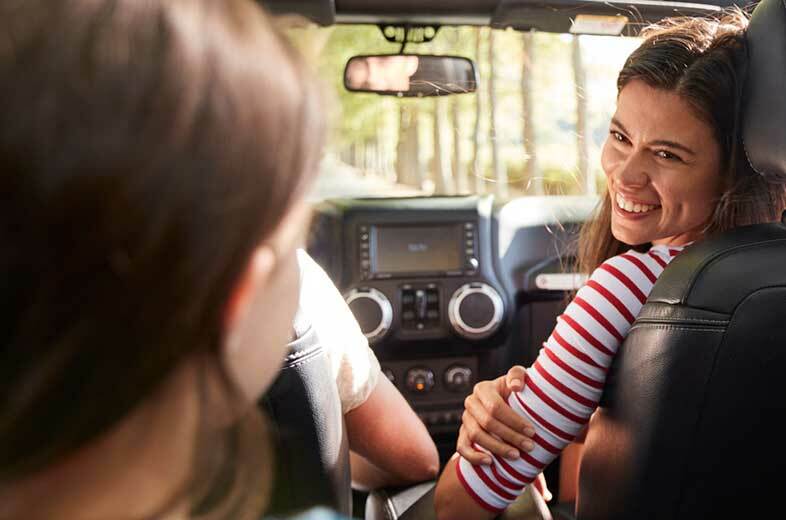 The vehicle model you choose, safety features, your location, how much you drive, and driving and insurance history are all factored into BMW insurance cost in Ontario. Compare BMW insurance quotes to find the cheapest rates. What Is The Average BMW Insurance Cost? The average cost of car insurance for a BMW will vary greatly on the make, model, and features of the vehicle. Since average vehicle costs are closely associated with the driver, the best way to determine average costs is to compare quotes. Get started below to save on your car insurance. Call to get additional car insurance discounts and expert savings advice. A quick call could save you a lot more! Vehicle cost : The starting price for the more economical BMW models start at more than $35,000 annually – well more than the average vehicle. Many of the BMW models are in the $50,000 to $100,000 price range. Theft : Luxury vehicles such as BMWs are always a target for theft. The BMW X6 has appeared on the most stolen vehicles list in Ontario on numerous occasions. The 7 Series is also a common target. Expensive repair parts and costs : BMWs are well designed and use precision and custom parts. The need for specific parts, many of which need to be ordered and the need for a mechanic with experience working with BMWs greatly increases repairs costs. Safety features : BMWs are known for strong reliability and safety features. All vehicles have optional safety features – blind spot monitoring, turn signal mirrors, traction control, anti-theft system, and more. These features help to lower insurance costs. Whether you drive a BMW X3, 7 Series, M3, or any other model, the most proven way to save on BMW insurance rates is to compare quotes. Our insurance experts will help you compare coverage from multiple insurers and find you the cheapest rates for your BMW. Choose used over new : Used BMW models are cheaper to insurance than new models. Add more safety features : Adding more safety features will make your vehicle safer and more affordable to insure. Choose a less expensive model : Choosing a more affordable BMW model will help you save money on insurance costs as well. Bundle insurance coverage : Bundle all vehicles and home insurance coverage in a single police to qualify for an insurance discount. Shop around and compare quotes : Always compare your insurance options. Compare quotes annually to maximize savings. Looking for a BMW motorcycle insurance quote? ThinkInsure can help you get coverage and save for motorcycle insurance too! Bundle coverage with your vehicle, home, and we’ll ensure you get the best BMW motorcycle insurance rates. Does BMW Have High Insurance? As a luxury vehicle, BMW does have higher car insurance rates that many other types of vehicles and brands. So yes, it does have higher insurance rates compared to other brands. Are BMW More Expensive To Insure Than Other Brands? It depends on the brand. Some car brands are cheaper and others are more expensive. Always compare auto insurance quotes to accurately assess BMW and other vehicle brand insurance costs. How Much Is Insurance For A BMW? The cost for BMW insurance varies based on your vehicle make and model. Vehicle features, safety rating, your location, driving history, and other factors can all influence BMW insurance costs. Why Are BMWs So Expensive To Insure? There are many factors that can increase BMW insurance costs. Retail costs, repair costs, and being a target for thieves all contribute to higher insurance rates. What Is The Cheapest BMW to Insure? The BMW 128i, 328i, and X6 are considered to be the cheapest BMW models to insure. Your driving record, location, and other factors will also impact insurance costs. 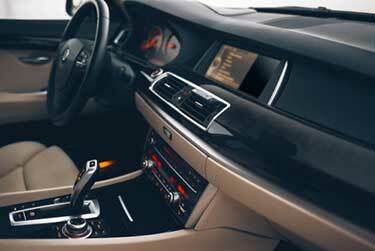 Are There BMW Lease Insurance Requirements? Yes. If you plan to lease or buy a BMW, you will need to show proof of insurance to the dealership. Can ThinkInsure Help With A BMW Insurance Claim? Yes! Our insurance experts can help you work through the claims process. If you are considering filing a claim, give us a call and we’ll happily provide you with insurance advice and consultation. What Is The Best Insurance for BMWs? The best insurance for BMW’s depends on your location, driving needs, and other factors. Since the BMW is a luxury vehicle, you’ll need more than the minimum required coverage. Additional collision and comprehensive coverage is recommended. Own a BMW vehicle? Want to compare BMW insurance rates? Contact ThinkInsure today to get a free insurance quote for BMW models. Find the cheapest rates and save money on your insurance policy. Call 1-855-550-5515 today! Learn more about the insurance companies that we work with. Here are some of our most popular car insurance and driving articles. What Are The Cheapest Cars To Insure? How Are Ontario Car Insurance Rates Determined? Save up to $700 or more! Copyright © 2019 ThinkInsure Ltd. All Rights Reserved.